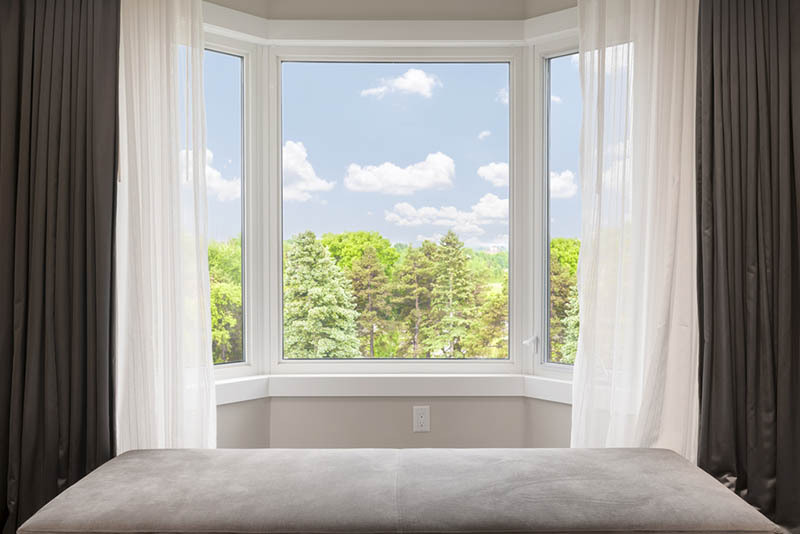 Figuring out the best ways to cover your windows can be a real annoyance especially if you have an unusual rounded window or around the room. You might be frustrating trying to find the right options for your unique space. If that’s the case, look at this as an opportunity to transform your living space with some useful bay window curtain ideas. When looking for drapery that makes its mark you have to remember that it will act as a backdrop to your interior design efforts. This doesn’t mean that because it’s a backdrop that it’s an insignificant part of the overall room. Your curtains will be what ties your room together as a final touch. If you are going for a sense of ambiance that is laid back but effective, you’ll want to choose a color that compliments the room. This can be achieved by adding flowing curtains that soften the appearance of the room or hanging a color that pairs in a color that contrast yet compliments the furniture. You can also go for textures or embroidered drapery that adds its own elegance without being a distraction to the rest of the room. Also depending on the room that you are working with you will want to examine how the light flows in. Do you want to filter it out or in? With that in mind consider rooms like your sunroom, living room or kitchen. In a relaxation space like a sunroom, you may want airy, light fabrics that emphasize the natural light that flows in. Your living room, however, is a space where you may spend a lot of time relaxing with your family and friends. It could be where you catch the game on weekends or play family game night in the evenings. You will want to consider the glad on your tv from any windows as well as privacy in the evenings (no one likes to feel as if they are living in a fishbowl). In a room where you want more privacy, you can consider a heavier fabric that blocks out the light a bit better (this is great for rooms like your bedroom). You should also work out how long or short you want your curtains to be. Choosing the wrong length can make your room appear odd. For example, if you want to length the look of your average sized windows you can try for floor length drapes. It will not only make your windows seem bigger but will length the look of the wall as well. One other thing to consider when choosing your curtains in the material that they will hang from. 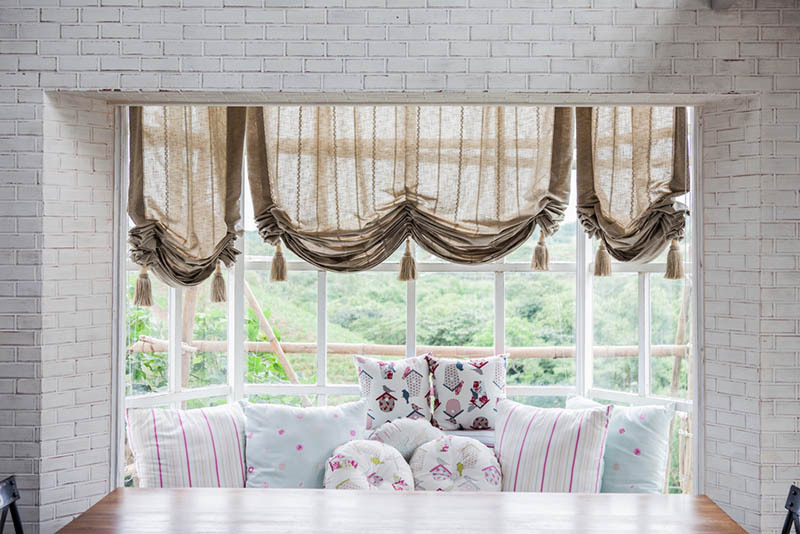 You’ll want to bug a curtain track that will either blend into the wall or ceiling or stand out in a way that only helps to adorn the curtains. Choosing the right curtains can be hard but choosing the right track shouldn’t be. Check out the Flex Track shop to find the right lengths and styles of curtain tracks for your home.